While poppies are traditionally worn to honour Canadian service men and women on Remembrance Day, the community of St. George, N.B. has found an additional way of paying respect to local veterans. 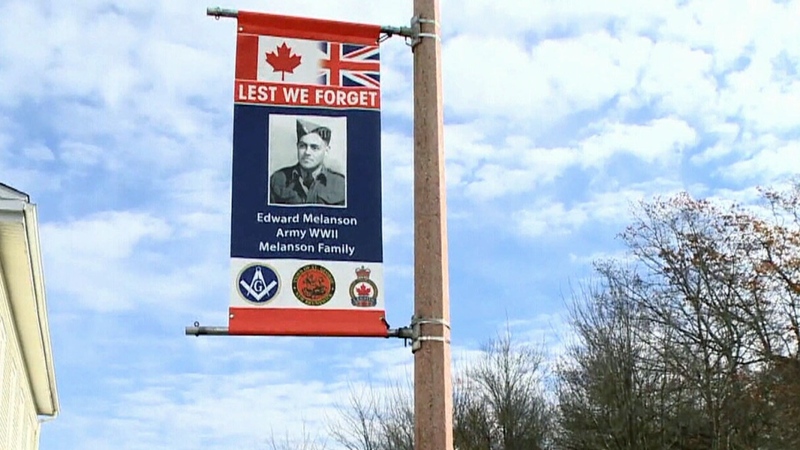 Banners bearing the names and service photos of veterans from the community have been hung on light posts around the town located approximately 70 kilometres west of Saint John. Residents told CTV News they love seeing the soldiers on the banners. "I love them, and I swear I’m going to have an accident because every night when I drive home, I have to read them to see if they've changed," shop owner Winnie Paul said. "I think it's wonderful." Robert Melanson's father, Edward, is one of the veterans featured on the banners. He fought in the Second World War. "What I like about it, is they're just ordinary people. 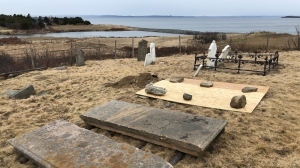 They're local people," Melanson said. "They made a big difference in the world and they're ordinary ‘Joe Blow’ citizens from the local area." Melanson got the idea after a recent visit to a town in Pennsylvania. He returned home and got the local legion behind the plan. Jim Hanley, president of the St. George branch of the Royal Canadian legion, said the banners have caught the attention of the town's youth. "A lot of kids are reading this stuff too," Hanley said. "You'd be surprised how many children are reading it from elementary right through to high school. They're thinking 'Those guys may be a relative of mine,' especially if they see the last name." Melanson said the banners are so popular he's had to order more. "Initially we put up 22 of them, and since then we've had such as demand that we've ordered another 36 and we're still getting orders," he said. He said he's been taking calls from other communities from across Canada that want to put up similar banners next year. 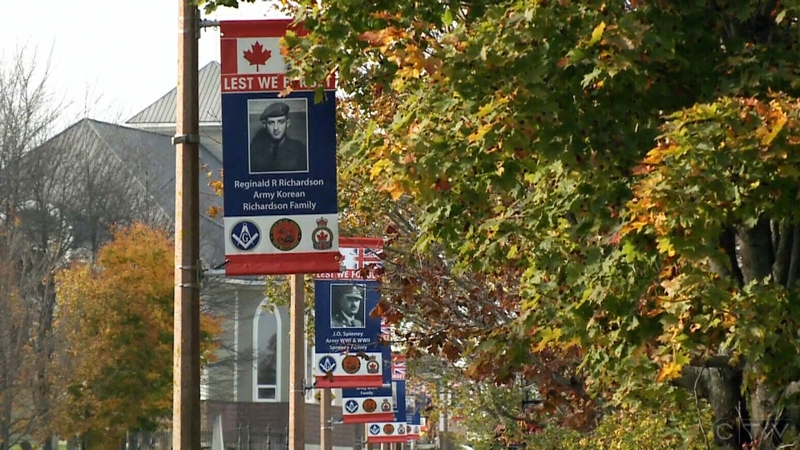 Banners honour local veterans for Remembrance Day in the community of St. George, N.B.